Tripp Lite's B015-0000 USB to PS 2 Adapter allows you to connect a PS 2 keyboard and mouse to your computer's USB port, or you can connect your computer's USB port to a PS2-based KBM switch. This plug and play adapter provides easy compatability and foil-shielded cables ensure air free communications. B015000 is manufactured to exacting specifications and backed by a no-hassle, lifetime warranty against defects in materials and workmanship. If you need to add PS 2 compatability to your USB-equipped computer order Tripp Lite's B015-0000. 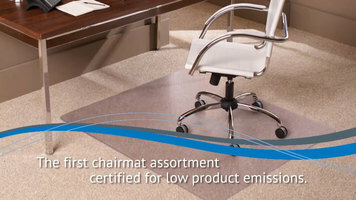 Perfect for the workplace, an EverLife chair mat makes it easy to glide over carpet in a mobile office chair. It's even UL GreenGuard certified, designed for safety, and made in the USA. Keep your business rolling with the smoothness and ease of an EverLife chair mat! 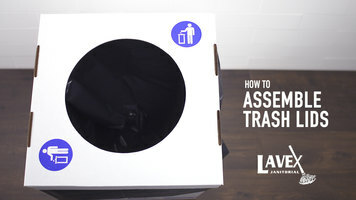 Great for use at outdoor events and parties, Lavex trash can lids are simple to set up. Watch this video to learn how! Learn how the quality construction and innovative design of this multipurpose Lifetime folding table makes it perfect for any use in your home, office, campground, or any other setting! It is stain resistant, durable, and easy to clean.